In my backyard in Redding, actually. A few fall images I captured, taken at different times in the day. CLick any to slightly enlarge. Lovely Fall colors. Just another thing to be thankful for, on this Thanksgiving 2015. Here’s a brief video promoting Redding and our historical values of hard work. Nicely done. 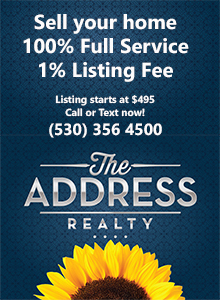 Our Realty has been a Chamber member since 2005. The Greater Redding Chamber of Commerce is Really Redding. Redding writer Jon Lewis let me “borrow” a few of his aerial shots of my favorite city to post here. Click any to enlarge. Thanks, Jon! Beautiful from any angle, it’s Really Redding.